keimpx is an open source tool, released under a modified version of Apache License 1.1. In this step , you need the username and password then only you can successfully login to the target machine . 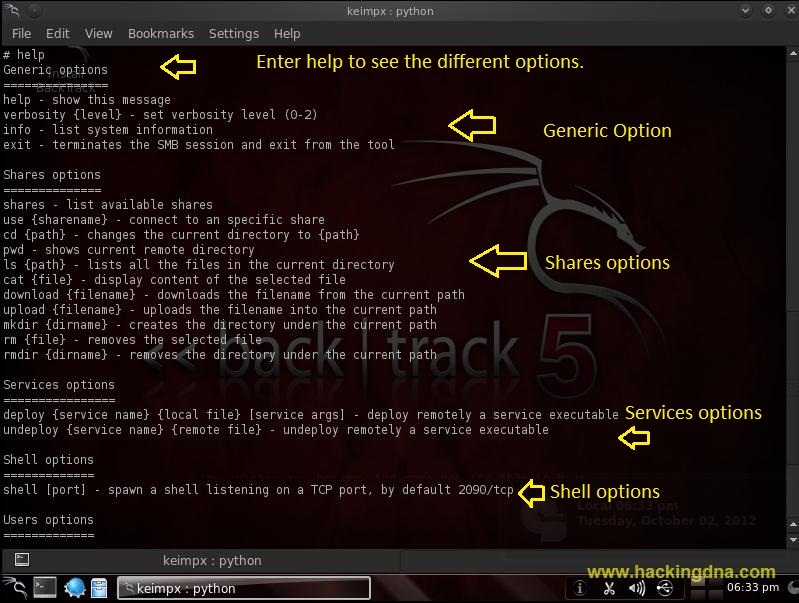 WANNA WINDOWS SHELL ON BACKTRACK 5 ? Always Press yes otherwise , if you enter no then the program will exit . In this step , it will ask you which target you want to connect to ? And which credentials do you want to use to connect ? In my case there is only 1 target , but in real case senario it will show many targets . So according to my case , enter key 1 on both the query and press enter key . Now whenever you see # sign , it means you are " inn " keimpx and now you can use all the commands supported by keimpx . Lets start with the help command . This command list the remote/target system information . This command will display the available shares . As yoy press enter key , it display all the available shares and also ask you " which share do you want to connect to ? This command is used to connect specific shares . 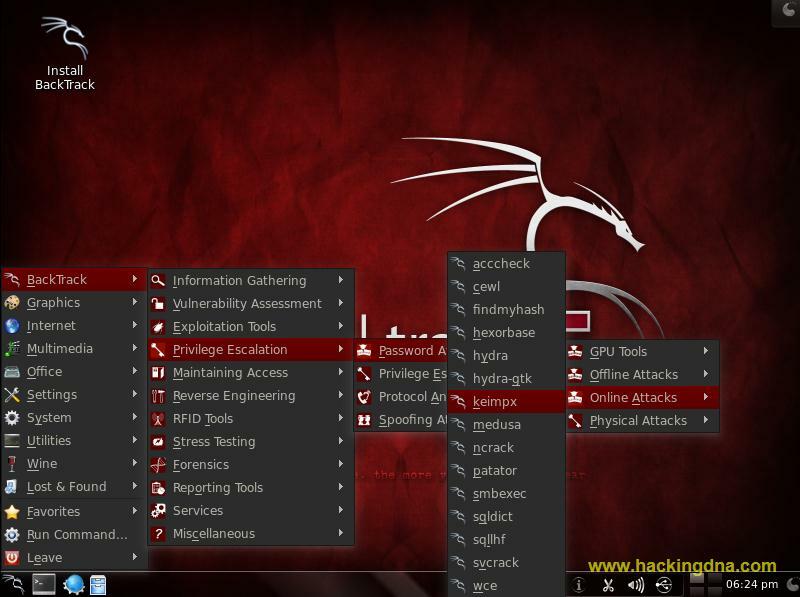 This command will list all the files and current directories . To upload file on remote/target machine , you can use the upload command . To download file from the remote/target machine , you can use the download command . To remove file from remote machine , we use the " rm command " . See the below example to understand how to use remove command . Above you see how to remove the file , now here you learn how to remove directory from the remote /target machine through your Backtrack 5 . List the domain which the system is part of. You can use command to view file . Here in my case I used cat command to view hackingDNA file . To get the shell , enter the shell command . It list the users . At last " exit command " , it simply used to exit from the program or terminal . Its a good tool developed by Bernardo Damele . Working with this tool had a great experience , A one small application gives you so much of information about your target . Isn't it great .